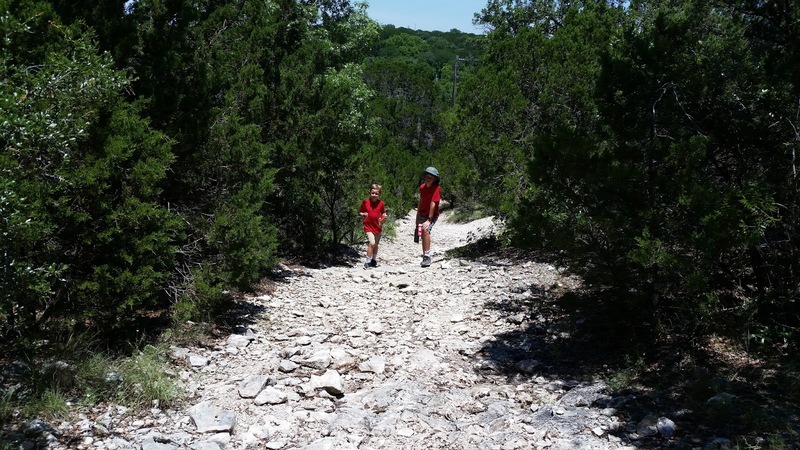 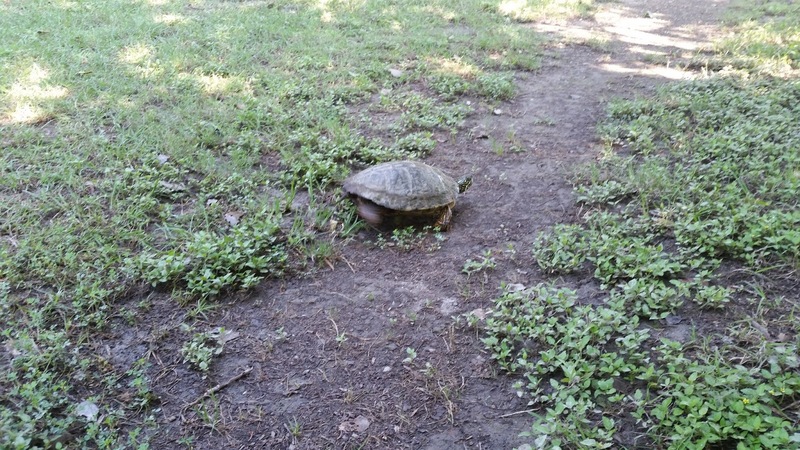 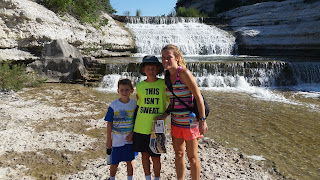 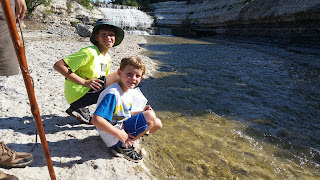 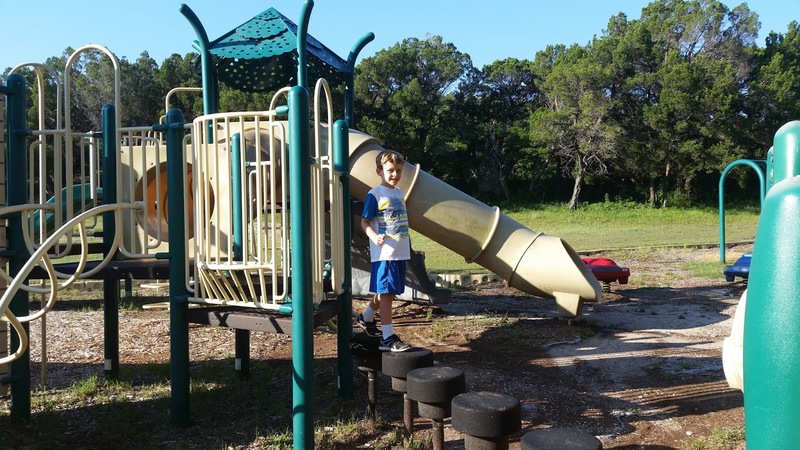 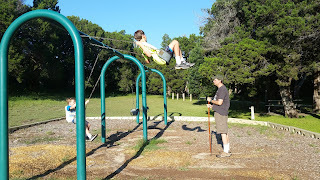 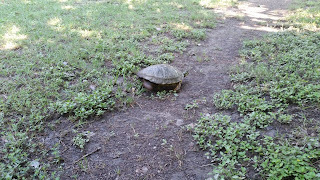 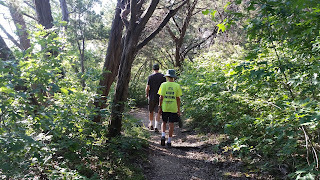 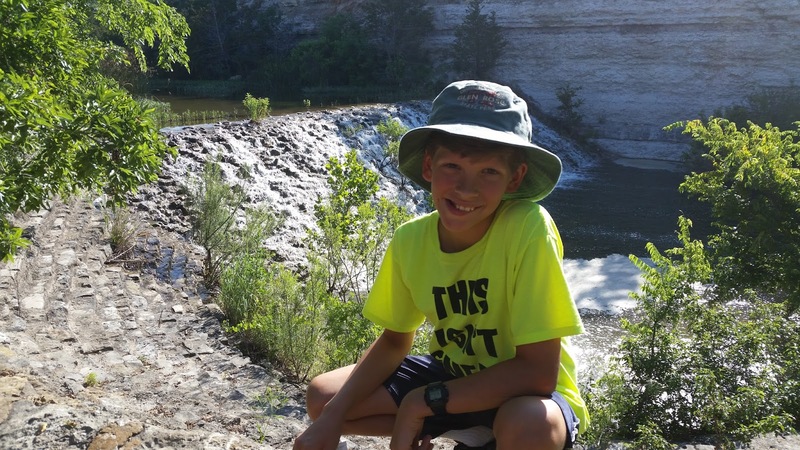 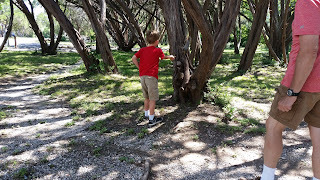 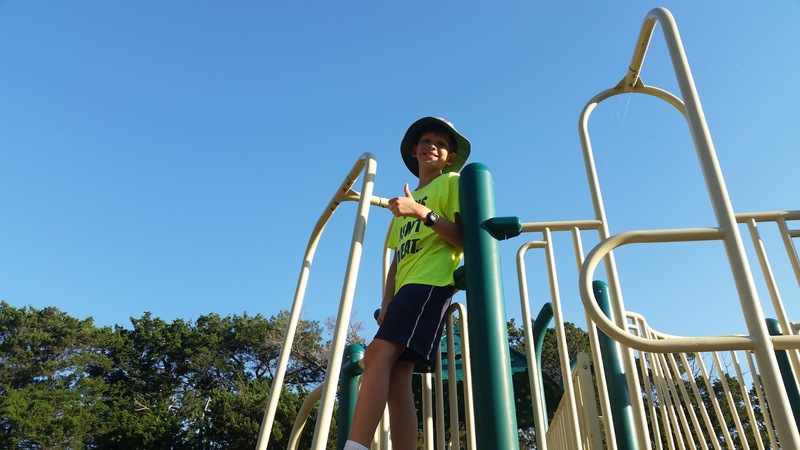 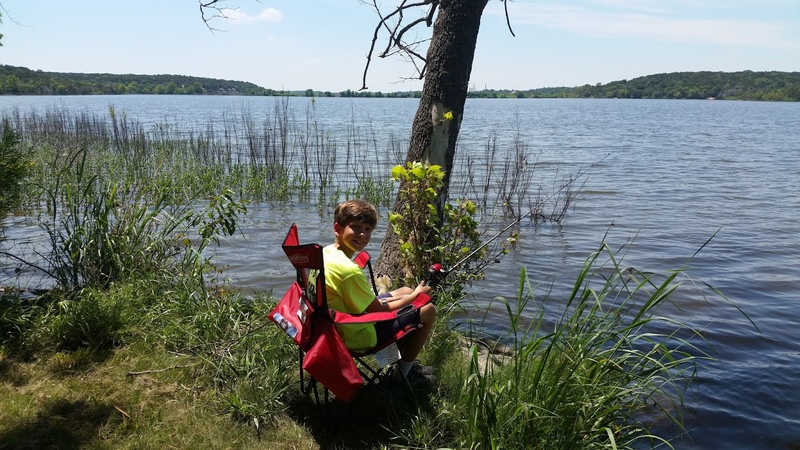 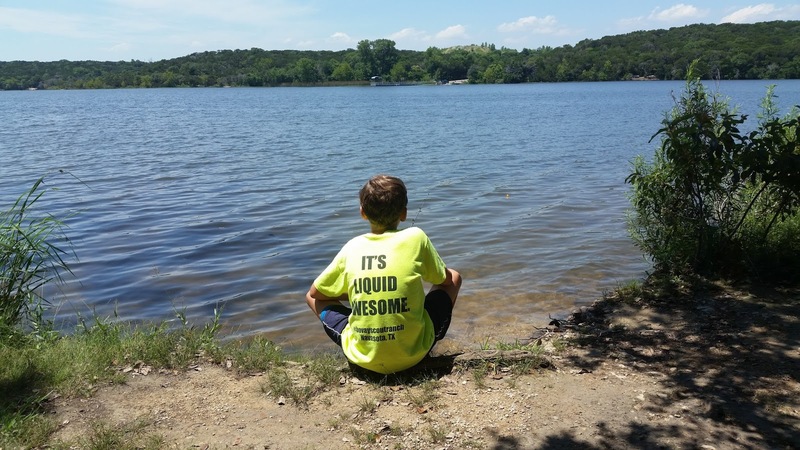 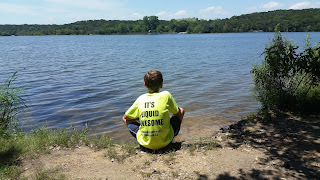 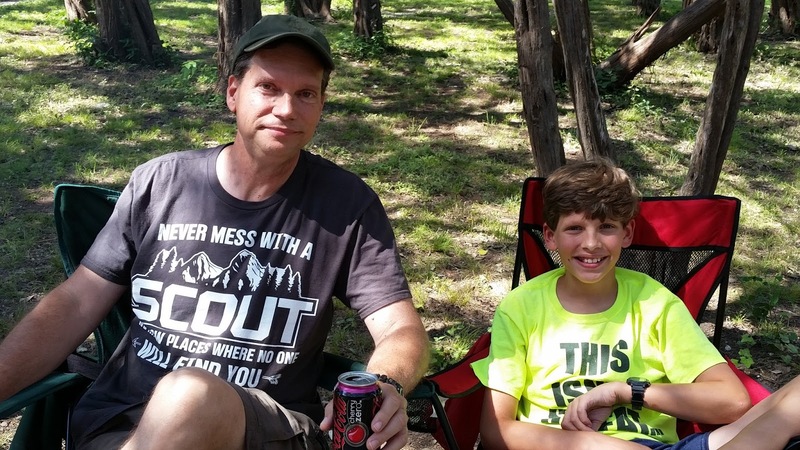 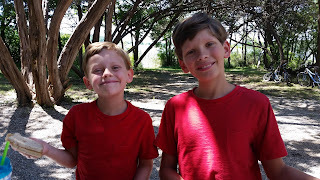 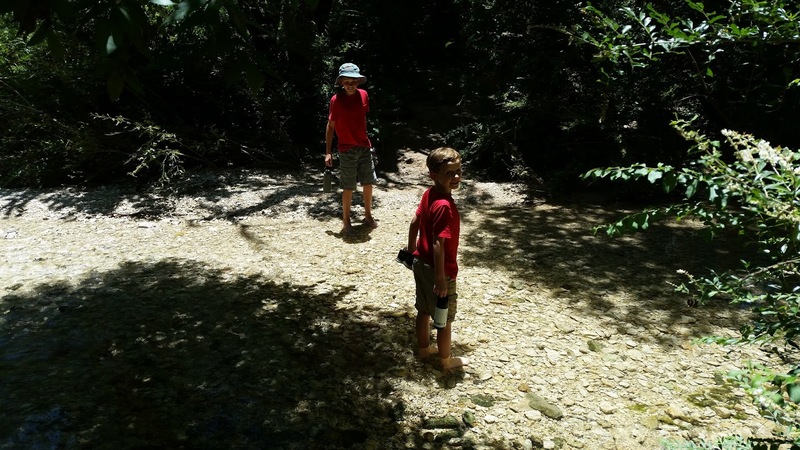 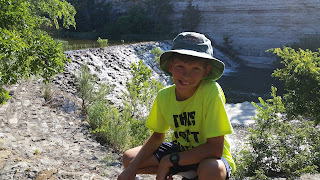 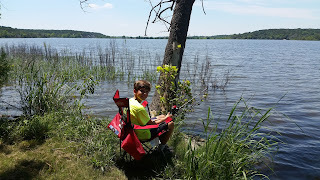 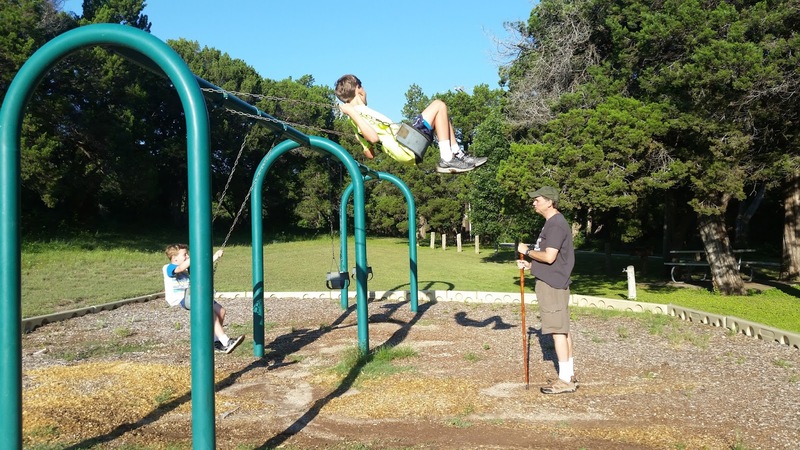 We spent the second part of our camping trip at nearby Cleburne State Park. 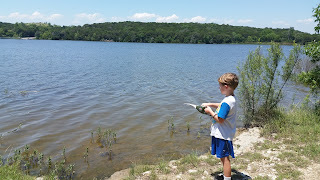 The scenery was similar to Dinosaur Valley SP, but instead of a rushing river, there was a pretty serene lake. 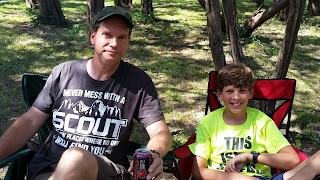 We hiked, biked, fished, climbed trees, relaxed in the hammock, sat around the campsite, did some outdoor cooking, and enjoyed the time together as a family. 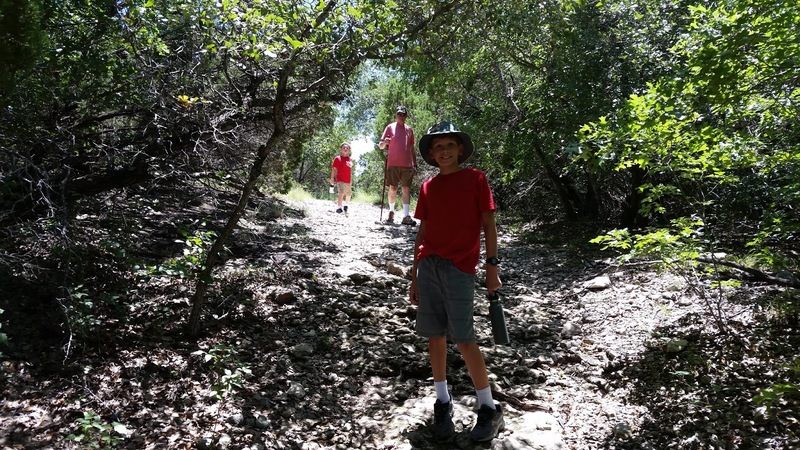 Out for an afternoon hike. 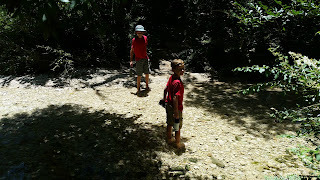 This stream was running through the trail. 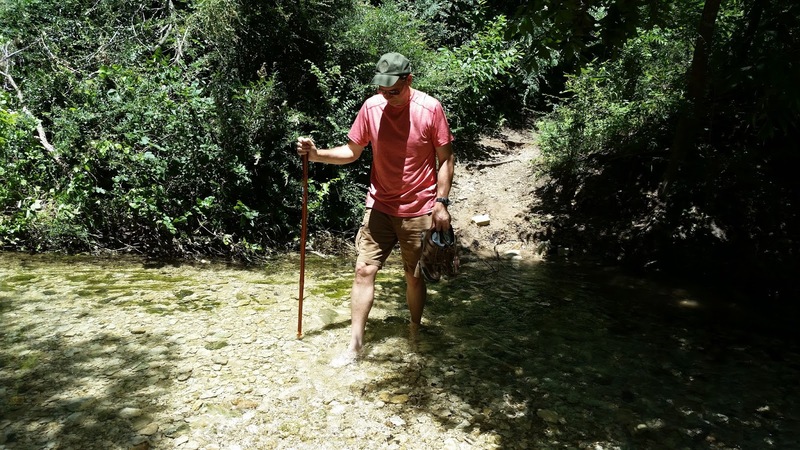 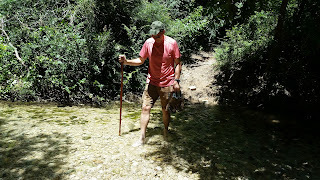 We had to take off our shoes and walk through, which made for an extra fun hike. 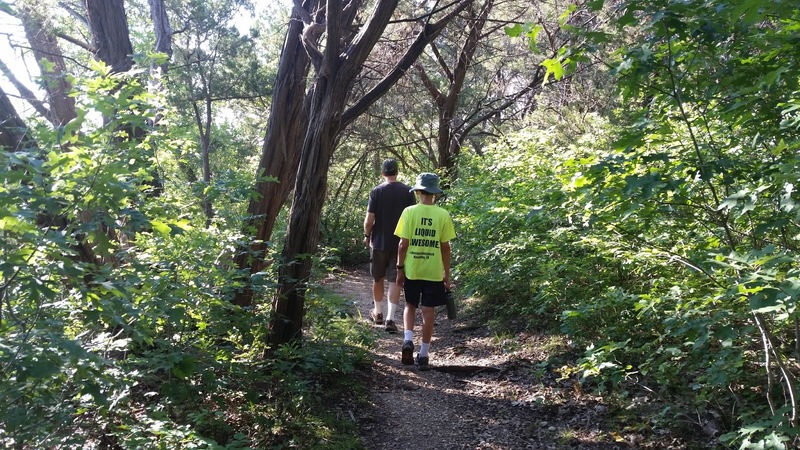 A pretty hike along the lake. 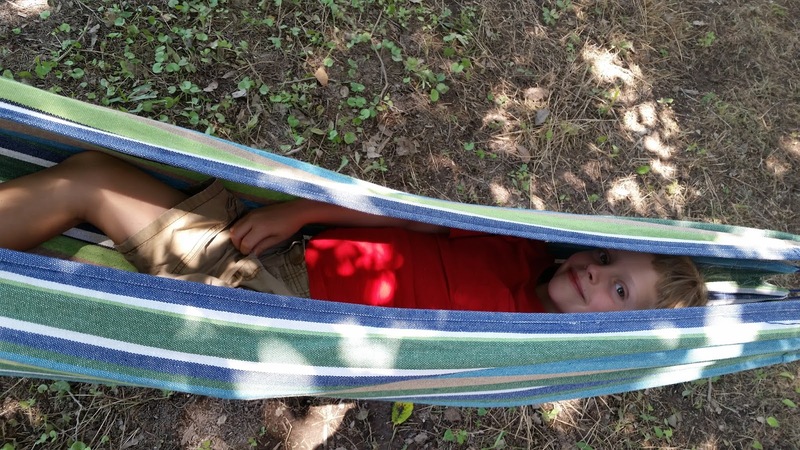 Brady cozy in the hammock. 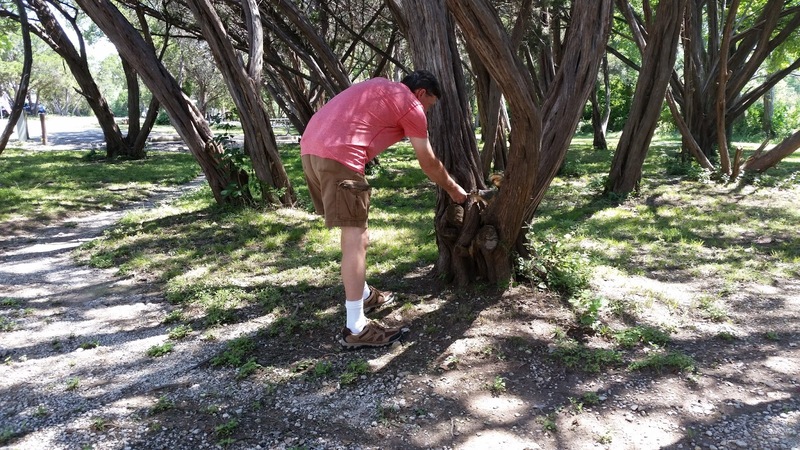 This crazy squirrel ate right out of our hands. 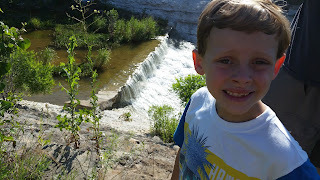 We hiked to the dam, which was SO COOL! Awe, Brady. 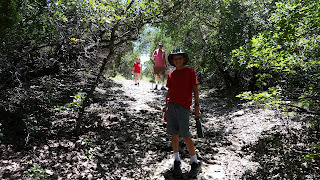 It was a long, hot hike. 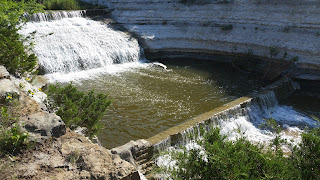 There had been a lot of rain in the week before so the water was really flowing over the dam. 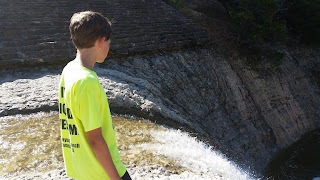 Looking down over the waterfall.